The remodeling of the kitchen and bathroom forms the core of this interior renovation. The existing peninsula design and cabinetry broke up the ‘great room’ and stood the kitchen as a distinct element within the room. Our design strategy operates more on a principle of integration. As such, we created a galley condition with a spine of cabinetry and appliances that anchors to the long wall of the room. 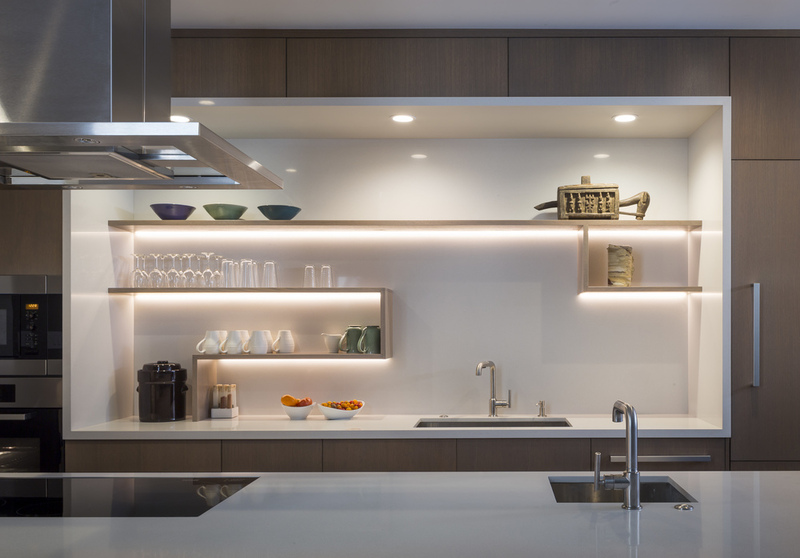 The feature design element is the solid Caesarstone backsplash which appears to be carved from the wall itself. The particular challenge in the windowless bathroom was how to create an inviting, expanded sense of depth without a resulting cave-like feel. Removal of a half wall, soffit and tub unified the space overall. We reinforced the unification with the deployment of a single large format tile spec. Smaller details such as touch latch cabinetry hardware and flush conditions between the tiles, wall and mirror further the principle that simpler is bigger, deeper and more inviting. We were also charged with elevating what was a pedestrian 1990’s townhouse to something more sophisticated and engaging. Our approach was to first remove builder grade detailing around windows and railings. 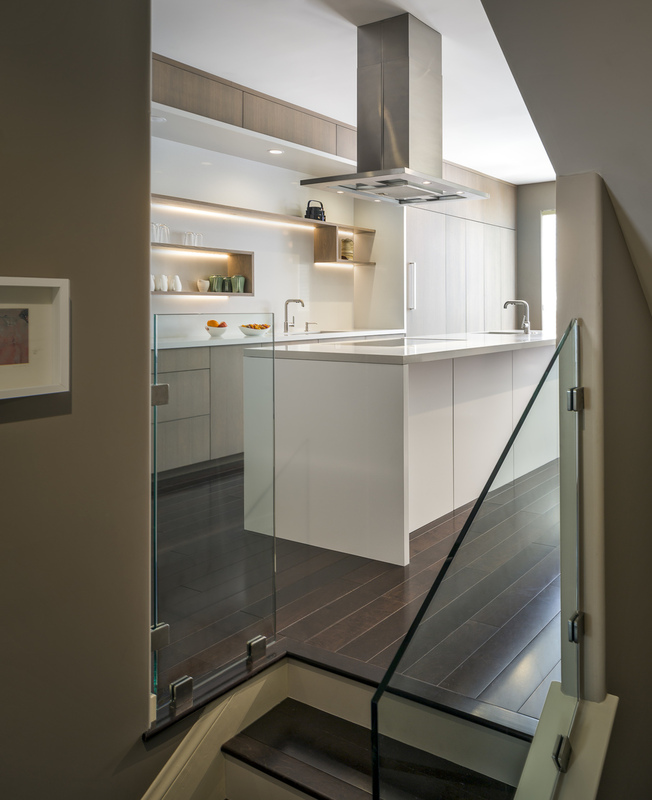 Then, we introduced simplified profiles and glass guardrails that would extend a consistency established in the new kitchen and bathroom designs.